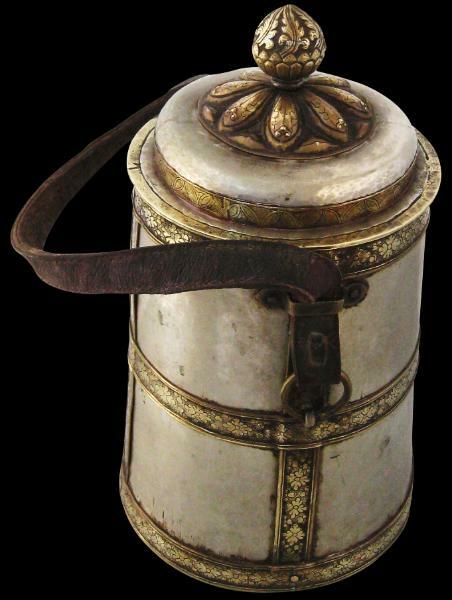 This large pot designed to store barley beer (chhaang) and other food and beverages is made from a variety of mixed metals as well as retaining its original leather strap. It follows a conventional shape for such storage containers known as a suola. The base is of hammered copper. 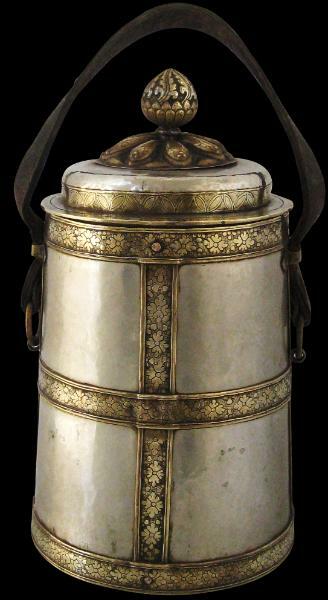 The interior and most of the exterior is of hammered tin or pewter. The side straps are of brass strips beautifully engraved with blossom motifs. The lid is surmounted by a silver gilt bud finial rising from a gilt lotus petal disk mount. 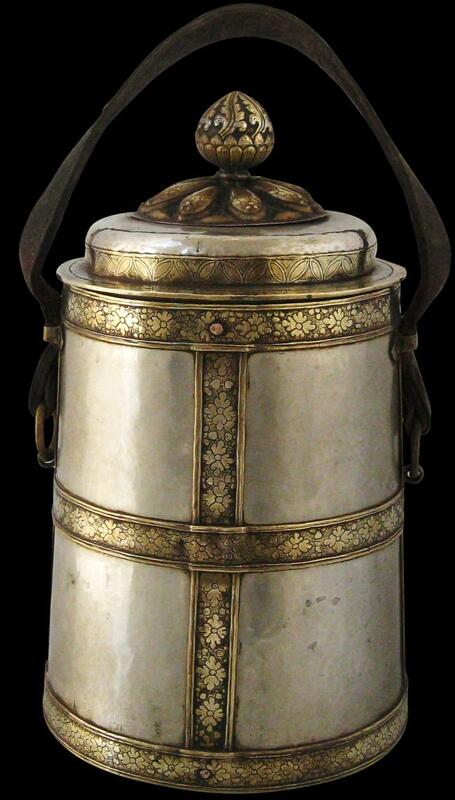 Overall, a very decorative item with an excellent patina.